This is one of my ancient UFOs. 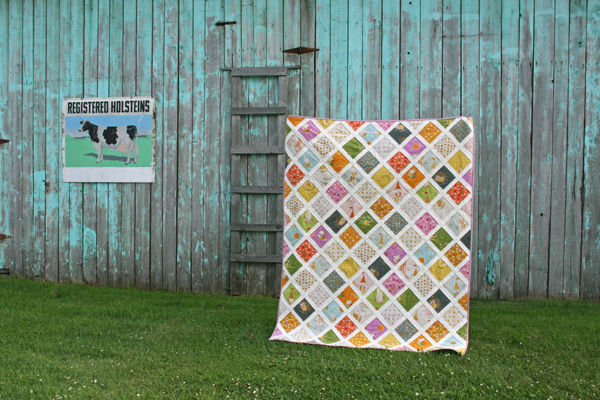 I've finally had a reason to work towards finishing it: a quilt show! I promised the organizers some quilts, but haven't actually finished that many in the past year. 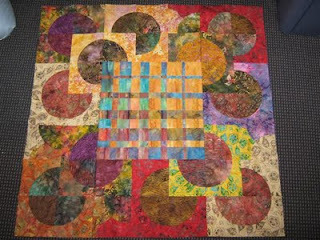 The quilts will be picked up in a week, and I've been busy busy busy picking some UFOs to finish. 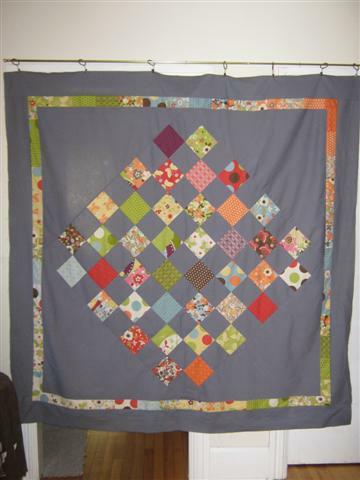 This little quilt (about 30"x40") started as a quilt class demonstration of the disappearing nine patch block. I had made the various stages of this block, and aftere the class was finished, I completed all the stagesa and put together the center of this quilt. The tropical-patterned border fabric was a find at a fabric store closing sale. 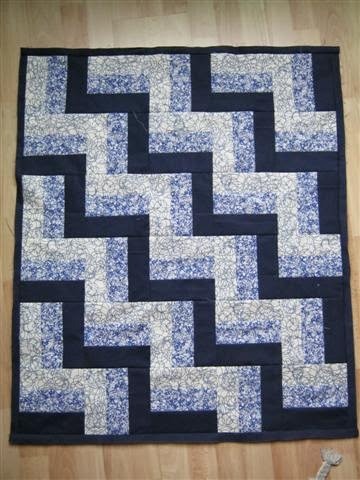 It is not 100% cotton and was interesting to work with (stretchier). 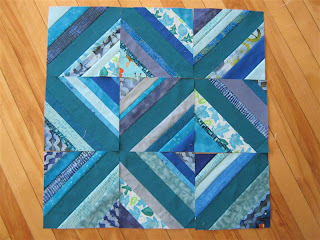 I've just finished quilting this piece but haven't had a chance to take some photos. Stay tuned!